Hello and welcome to my blog. 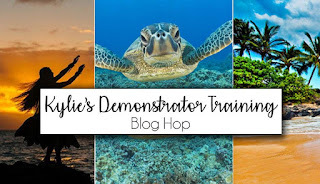 Today I am taking part in a blog hop as part of a training group I am in. Kylie's Demonstrator Training. We are a group of like minded demonstrators from all over the world who are working to better our businesses and grow. So sit back and be prepared to be amazed as their are some seriously talented crafters in the group. We don't have a theme, so it is free for all. This is good for you as you will see a huge variety in the projects and be sure to come away with an amazing amount of inspiration. For my project, I chose to do an island inspired Christmas Card. 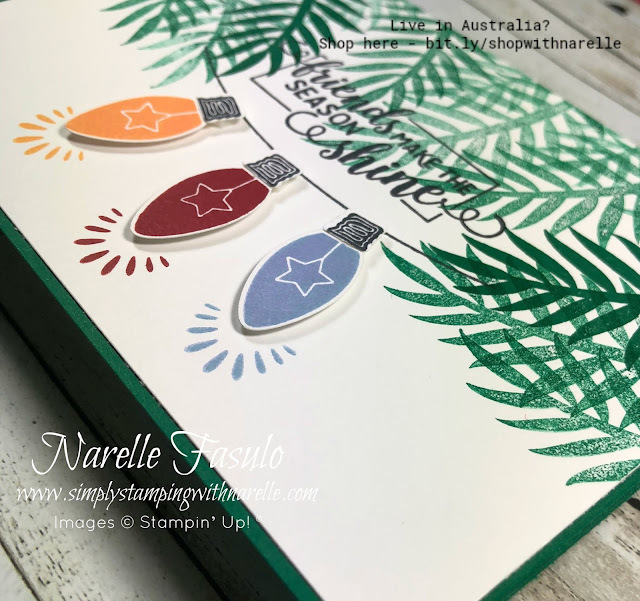 You see, one of my goals this Stampin' Up! 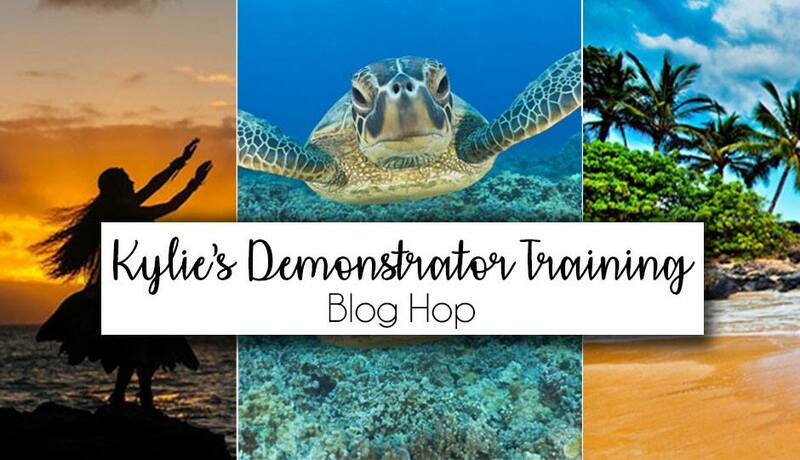 year is to earn the incentive trip to Maui. So I thought I would bring a little Maui into my Christmas Card. So instead of pine trees, my string of christmas lights are strung in the palm trees. 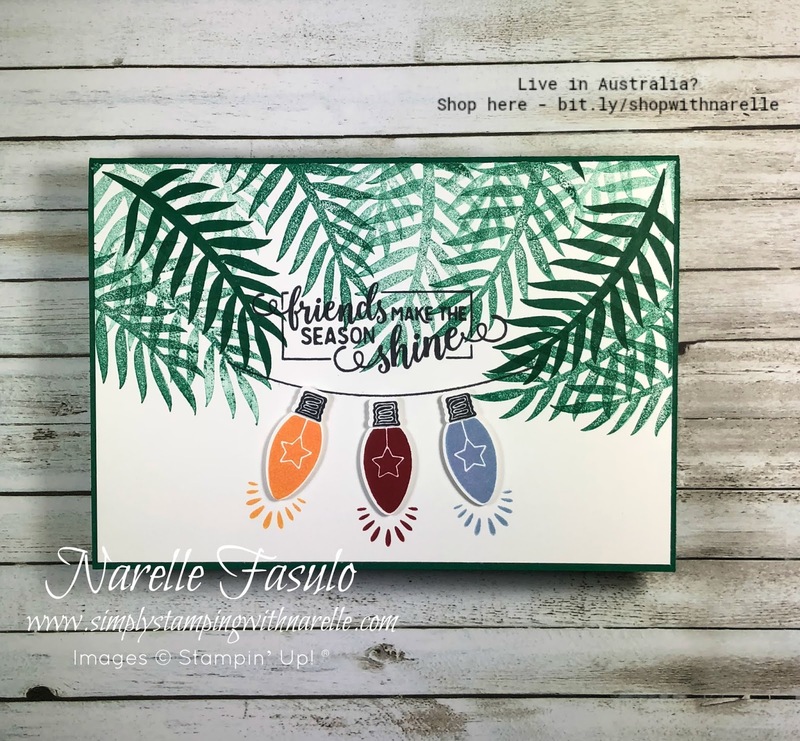 I can imagine sitting in a deck chair of a night, with a gentle breeze rustling the palm leaves, hundreds of little lights twinkling between the trees, the sound of the waves crashing gently on the beach. Sounds like heaven to me. If the sound of this appeals to you, then you need to consider joining my team. We can sit under the palm trees together. Now that you have seen what I have created, make sure you hop around to see what everyone has done. To purchase any of the products used on this project, please see the product list below.